I suppose I shouldn’t advertise this because many of my readers themselves are game bloggers . . . but I love to walk on the wild side so I will throw caution to the wind and proceed. I wrote a blog post on IGN‘s network of blogs to enter the contest for a chance to get an all-expenses paid trip to E3 to blog for IGN. I believe the blogs will just be picked based on merit (and author’s interaction with the rest of the IGN site and network) but I’m sure a few comments couldn’t hurt either. The entry information is found here if you’re interested in joining yourself. Anyway, there’s the word my friends. How amazing would it be to get to go to E3 for free with IGN!? 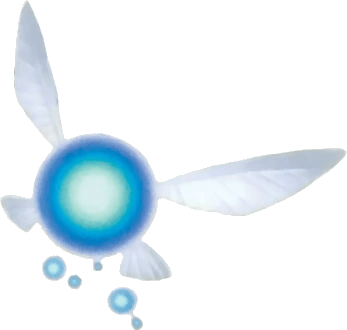 I imagine the voice in my head like Navi. And I hate it. This is atrocious to say but last week I didn’t game at all. AT ALL. And as you can see, I also didn’t blog. Because of this damn nagging voice in my head! And then, at the end of last week (before I went away for the weekend which prohibited gaming or blogging), it dawned on me: gaming is not a chore. Along the same line, this blog is not a chore. This blog is awesome. Gaming is awesome. And they’re awesome because I’m deciding what I write, when I write it, what I play, and when I play it. So last week when gog.com had a sale and I bought Lands of Lore 1 & 2 (LoL 1 being perhaps THE quintessential game of my childhood that I’ve never finished) and desperately wanted to jump right in? I could’ve, and I should’ve. So shut up, brain voice. No one likes you. You make gaming and blogging un-fun and I have no room for that in my life. I’m gonna go play a classic dungeon crawler by Westwood Studios. See you guys in a few days when I’m so excited about it that I’ll write a blog post.